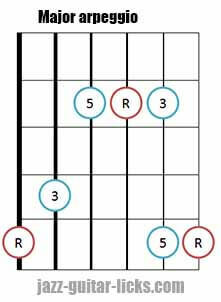 A major chord is built with three notes namely root (1), major third (3) and fifth (5). These three tones represent the structure of the major chord. 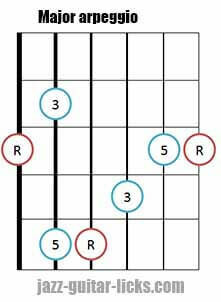 The same holds true for minor, diminished and augmented chords. 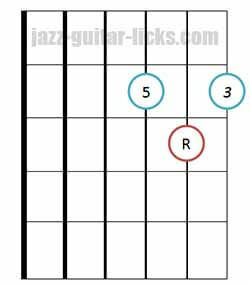 In this guitar lesson you will learn how to play a major chord in closed and open triad voicings (also known as spread voicings). What is a Close Voicing? 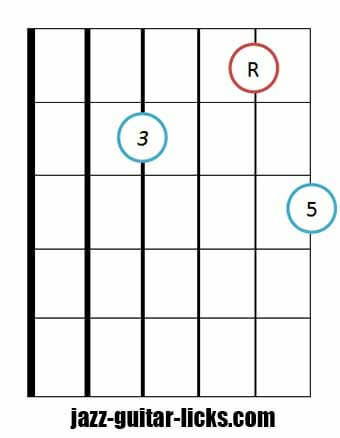 First, let's talk about close major triad voicings. In this case the notes are placed as close together as possible, they are all included in one octave. 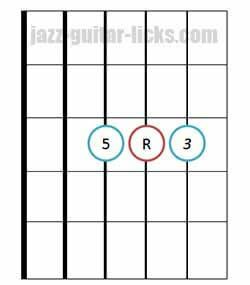 In a first look we play these major triads with roots on the sixth, fifth, fourth and third string. These diagrams represent the easiest way to play close voiced major triads on the guitar. 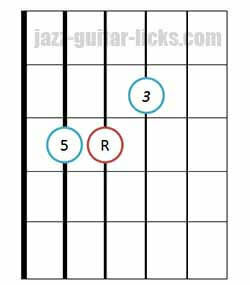 How To Practice These Major Triads ? 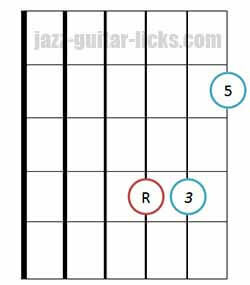 Play the shapes below anywhere on the guitar neck and find the name of the triad. 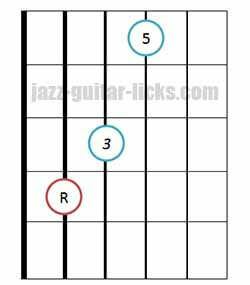 For example, if you decide to play the first diagram (bass on sixth string) at the seventh fret, it means that you will put your pinky finger on the sixth string, at the seventh fret. So, the name of the triad is B major. It is a close B major triad. Repeat that with the four guitar shapes below. ​You can also work contrary to the previous way by finding the triad whose name has been provided. 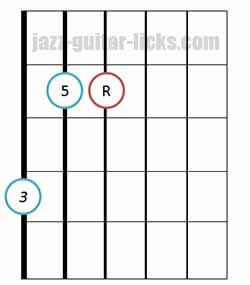 For example, you must be able to play the G major triad with the root on the sixth string, then on the fifth, on the fourth and on the third string. 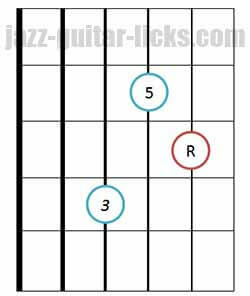 You should be able to play any major triad anywhere on the guitar neck. 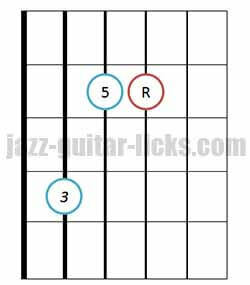 You can also play close major triads in position. 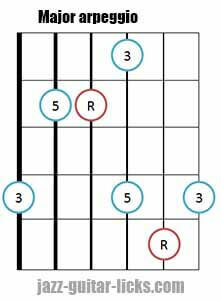 By using the first diagram and putting your second finger on the sixth string at the fifth fret you get an A major triad. 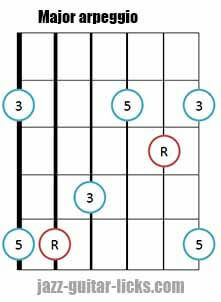 You also get another major triad with the root on the fourth string. As you may have noticed, there are two close major triads in a same position. 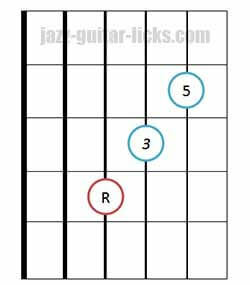 You can now repeat the two previous exercises "find the name of the triad" and "find the triad whose name have been provided" using the five guitar shapes below. 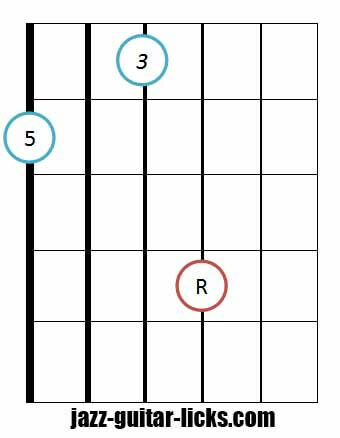 Close voiced major triad in position- Root on 6th, 4th and 1st string. 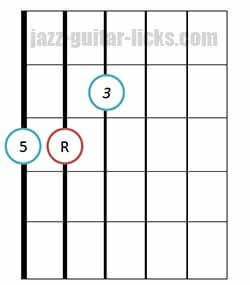 Close voiced major triad in position (2) - Root on 6th, 3rd and first string. 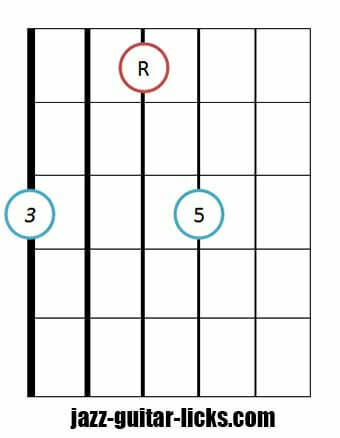 Close voiced major triad in position- Root on 5th and 3rd string. Close voiced major triad in position- Root on 5th and 2nd string. Close voiced major triad in position- Root on 4th and 2nd string. Now, we will see that the notes of the triads can be inverted. Giving us two other voicings and 8 different positions to play on the guitar. The first voicing has the third in the bass. The second voicing has the fifth in the bass. Once again as outlined above, you can find the name of a triad and find a triad whose name have been provided. What are open triads ? The notes of an open triad are spread over more than one octave, that's why open triads are also known as "spread triads". How open major triads are built ? They are built by moving the middle note of a closed voicing up on the octave. 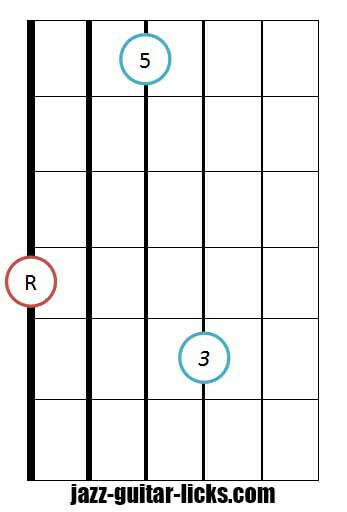 Let's take an example with a C major triad (close voicing). It is built with C (root) E (third) and G (fifth). To build an open triad, you must move the middle note which is the third (E) an octave up. So, you get a new voicing : C (Root), G (fifth), E (third). 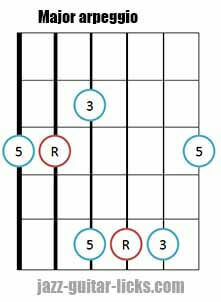 Now, you can also repeat this with the two inverted closed major triads to get two others opened major triad voicings. 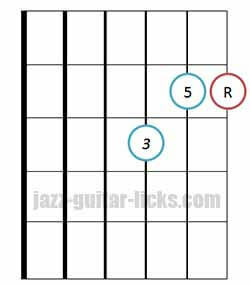 These three guitar shapes (root position) show you how to play open major triads on the guitar. The first diagram has its root on the 6th string, the second on the fifth string and the third on the fourth string. 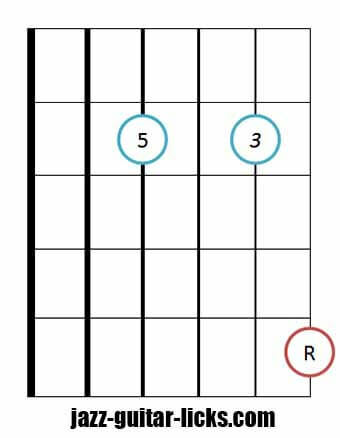 Before taking a look at the inverted triads below, try to play the open major triads in root positions all over the guitar neck and find the name of the triad. As we have seen it before, the notes of the triads can be inverted with both close and open voicings. 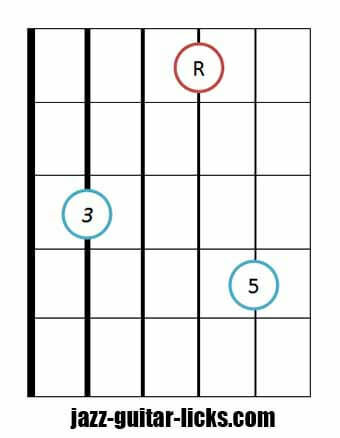 So, here are six other open major triad guitar diagrams. The two first shapes represent the two inversions of the first open major triad which has its root on the sixth string. 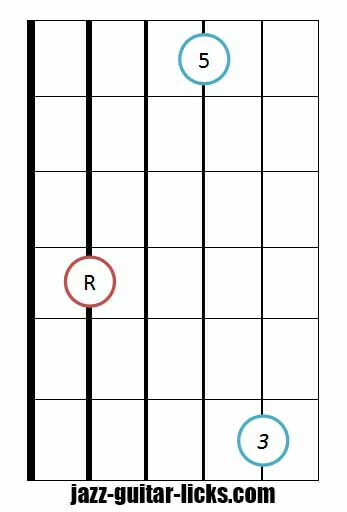 These two new voicings have the third and the fifth in the bass. The same holds true for the two other open major triads forms (basses on fifth and fourth strings). 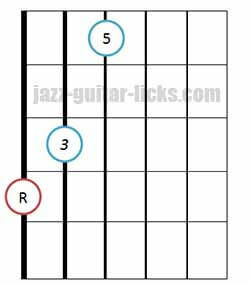 This infographic provides 30 guitar chord diagrams for a better understanding of most important voicings used in jazz music. Drop 2, Drop 3 and Drop 2-4. 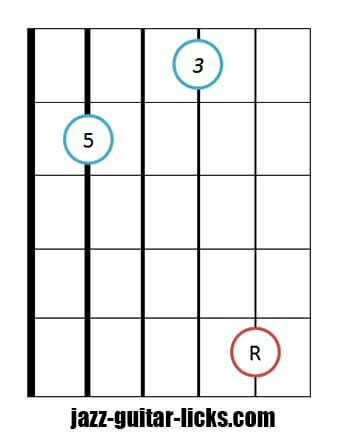 This music theory lesson explains what is an inverted chord and how they are built.